The ONR-sponsored researchers--led by microbiologist Dr. Derek Lovley at the University of Massachusetts Amherst--say their engineered wires can be produced using renewable "green" energy resources like solar energy, carbon dioxide or plant waste; are made of non-toxic, natural proteins; and avoid harsh chemical processes typically used to create nanoelectronic materials. 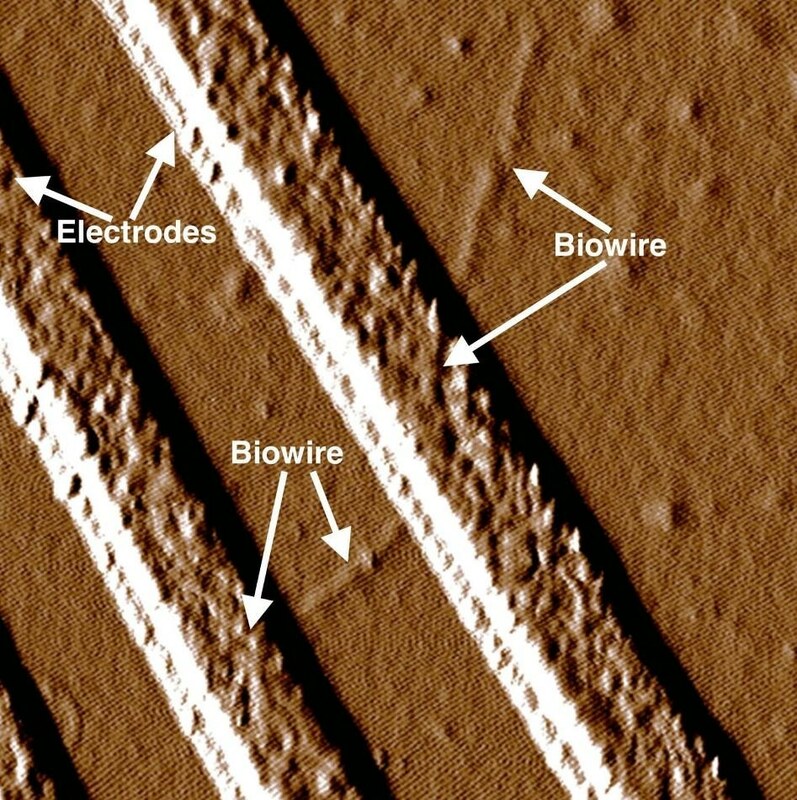 The centerpiece of Lovley's work is Geobacter, a bacteria that produces microbial nanowires--hair-like protein filaments protruding from the organism--enabling it to make electrical connections with the iron oxides that support its growth in the ground. Although Geobacter naturally carries enough electricity for its own survival, the current is too weak for human use, but is enough to be measured with electrodes. Lovley's team tweaked the bacteria's genetic makeup to replace two amino acids naturally present in the wires with tryptophan--which is blamed (incorrectly, some say) for the sleepiness that results from too much Thanksgiving turkey. Food allegations aside, tryptophan actually is very good at transporting electrons in the nanoscale. The results surpassed the team's expectations as the synthetic, tryptophan-infused nanowires were 2,000 times more conductive than their natural counterparts. And they were more durable and much smaller, with a diameter of 1.5 nanometers (over 60,000 times thinner than a human hair)--which means that thousands of nanowires could possibly be stored in the tiniest spaces.